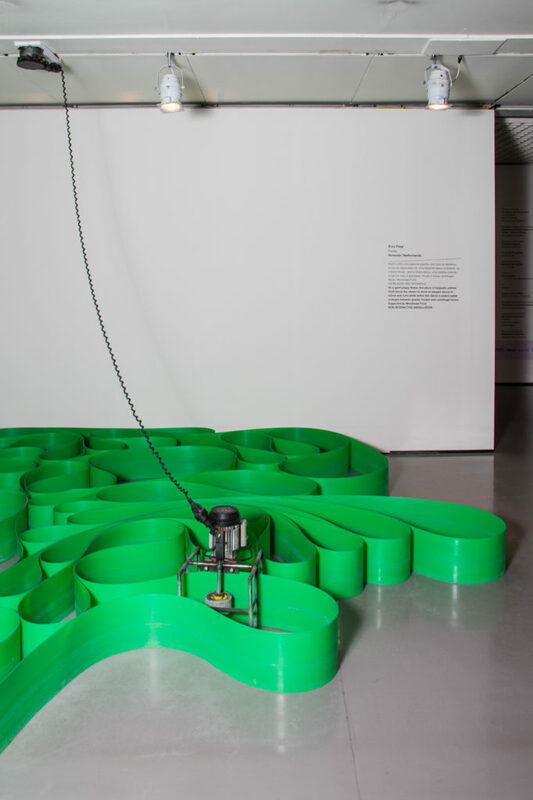 A machine that constantly combs a green tape over the floor and so creates constantly changing patterns while the green material is moving the machine in return. A constant dance between machine and material emerges. Zoro Feigl’s (1983) installations seem to be alive. His materials dance and twist. Placed together in a space, the separate works become one: large and ponderous in places, nervous or gracious elsewhere.